The following, written by guest author Niel Kaneshiro, is an abstract from a US Naval War College Directed Research Project of the same name submitted in response to our call for Amphibious Warfare articles. Please direct response articles to nextwar(at)cimsec.org. The United States faces an increasingly complex security environment in the Indo-Pacific. In the event of a crisis, China’s growing Anti-Access/Area Denial (A2AD) capabilities will allow it to challenge U.S. military access to the region, as well as raise the risks and costs to the U.S. should it intervene on behalf of a regional ally or partner. By leveraging security treaties and access agreements, the United States can employ ground forces in cooperation with partners to secure maritime choke points and littoral areas, denying their use to an adversary during a crisis or hostilities. These land forces can also create protected areas from A2AD capabilities for combined and joint military operations, ensuring continued access into the region. Furthermore, ground forces can allow naval and air forces to concentrate on operations in areas outside the reach of land based weapon systems. Ground forces can help address the problem of sea control in the Western Pacific in the context of A2AD challenges in several ways. First, ground forces can provide persistent control of choke points and littoral areas using anti-ship missiles, helicopters, and drones. Second, ground forces can conduct maritime intercept operations by employing heliborne troops who can board and capture merchant shipping. Third, ground forces can create protected areas for friendly forces, keeping them clear of adversary air, missile, and surface ship threats. Ground forces also provide reassurance to allies and partners – indicating U.S. commitment to the region and to its treaty obligations. “Boots on the ground” have significant symbolic and practical importance. For many countries in Asia, the most important military service is their army. Ground forces, specifically the U.S. Army and Marines, can develop important and enduring partnerships with those services, even assisting them with building their own military capability. Neither of the concepts involves significant use of ground forces. The roles for ground forces typically are limited to supporting activities, mainly the defense of ports and airfields from missile attack. Other U.S. military writings suggest joint forcible entry operations, which could consist of air or amphibious raids and assaults against A2AD capabilities or to seize key terrain. [iii] However, a forcible entry operation in the face of A2AD capabilities and the strength of the Chinese People’s Liberation Army (PLA) is likely a risky and costly proposition. U.S. forces operating in close proximity to the Asian mainland will have to face the same A2AD capabilities that they propose to defeat. Land power defined is “the ability – by threat, force, or occupation – to gain, sustain, and exploit control over land, resources, and people.”[iv] By extension, land power means the ability to exploit land areas for other purposes. U.S. military thinkers largely conceive of the Pacific as primarily a U.S. Air Force and Navy theatre; however, there are key islands that make land power relevant to any military campaign in the region. The Second World War in the Pacific was fought for and around islands. Geographically important islands became bases for continuing naval operations and served as unsinkable aircraft carriers for long-range bombers. The geography of the Western Pacific has not changed. 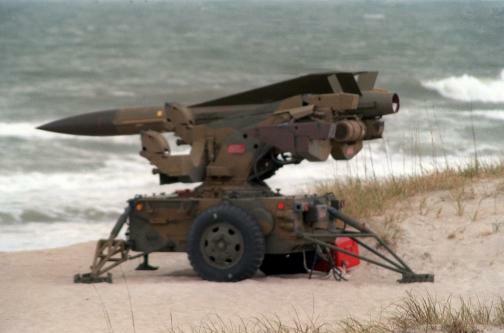 Modern missiles, sensors, unmanned aerial vehicles (UAV), and helicopters allow ground forces to project combat power out to sea in a way that was not possible before. American ground combat forces – Army or Marine, have the potential to conduct sea control operations and contribute substantively to an offshore control strategy or an ASB type campaign. In other words, land power can be exploited to gain sea control. Niel Kaneshiro is a former United States Navy and current United States Army analyst as well as a student of the US Naval War College. [i] Air-Sea Battle Office, “Air-Sea Battle: Service Collaboration to Address Anti-Access & Area Denial Challenges”, May 2013: 4. [ii] Hammes, T.X. “Offshore Control: A Proposed Strategy for an Unlikely Conflict”, Institute for National Strategic Studies . June 2012: 4-5. [iii] U.S. Army and U.S. Marine Corps, “Gaining and Maintaining Access: An Army-Marine Corps Concept”, March 2012: 6.